Anne was a participant in SEP in 2015, and inspired her classmates to set up the foundation. She is the CEO of AIM Australia, an organisation who is helping 500 people with disabilities in Australia. Anne Bryce has spent almost 30 years working within the Disability, Human Services and Health sectors. Anne has been with Achieve Australia since 2003, first taking the role of CEO of Hornsby Challenge in 2003 (later renamed Achieve Foundation) then leading the organisation through significant growth and a merger with The Crowle Foundation in 2009 – growing the organisation from a $4.5 million service provider in 2003 to a $10 million enterprise by 2006. 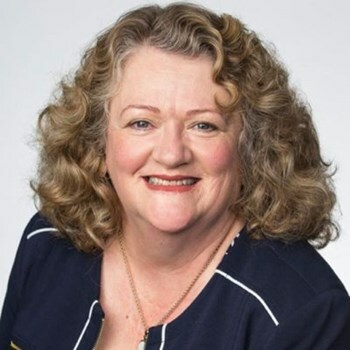 Under Anne’s leadership, Achieve Australia has grown into an organization with over 350 employees that supports more than 500 people with disability through accommodation, employment and day services, while maintaining a strong focus on individual outcomes for people it supports. In the process of merging Achieve and Crowle into one powerhouse, Anne learned the value of organisational purpose and values, communication, long-term goals and the need for strong systems and a clear management vision of ‘building extraordinary lives’. Anne has continued Achieve Australia’s philosophy of social inclusion, the right of people with disability to live in the community, and over the past 10 years, Achieve Australia has moved approximately 80 people out of large residential centres into community housing.